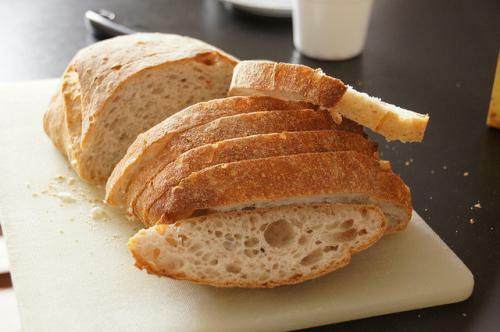 Delhi-based non-profit Centre for Science and Environment (CSE) has welcomed the decision by the All India Bread Manufacturers’ Association to voluntarily withdraw the use of potassium bromate and potassium iodate in bread-making. The move by the bread industry follows a CSE study, released on May 23, which found that 84 per cent of bread samples in Delhi contain residue of potassium bromate and/or potassium iodate, two food additives banned by many countries for their potentially adverse health effects. “We have heard what the bread-making association has announced. We are happy that they have decided to stop using potassium bromate and potassium iodate within two-three days. This will reduce public health risk from these chemicals,” says Chandra Bhushan, deputy director general, CSE. The International Agency for Research on Cancer has declared potassium bromate as possibly carcinogenic to humans. Potassium iodate, when used in bread and bakery products, may lead to higher intake of iodine which can potentially affect the functioning of the thyroid gland. The industry body, however, maintained that it was hardly using potassium iodate in bread making. It also said that potassium bromate was a safe and legal additive but since it has become controversial and in deference to the public opinion at large, it voluntarily withdraws the use of these additives. Following the release of the CSE study, the FSSAI had said on May 24 that it would soon notify the removal of potassium bromate from the list of additives. It also said that it was examining evidence in case of potassium iodate and a decision would be taken soon. “We welcome the FSSAI’s move to ban potassium bromate. Now that the industry has decided not to use both these chemicals in public interest, we urge the FSSAI to also ban use of potassium iodate in bread-making,” adds Bhushan.